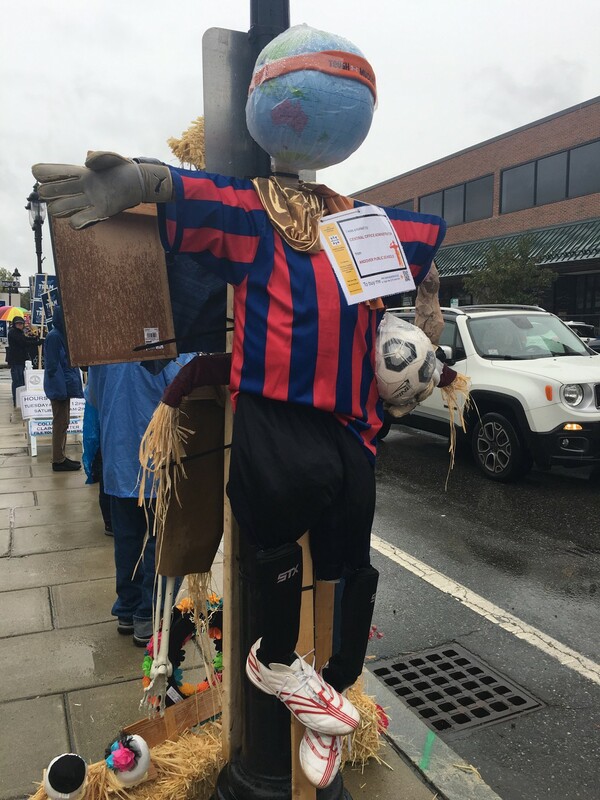 You’ve seen them as you travel up and down Main Street- and this year’s Scarecrow Festival hosted by Andover Coalition for Education (ACE) is almost at an end but not before their debut on WBZ-TV channel 4! Check out the video below featuring ACE President Lenore Price and West Elementary Principal Liz Roos! There is still time to participate before the scarecrows come down on Saturday, October 27th. On Friday, October 26th- ACE is hosting the 3rd annual Poetry Festival for all junior poets at 4pm at Caffé Nero. Click here for more information and to sign up. Also, don't miss the chance to take home your favorite scarecrow- visit the ACE Auction website. Downtown Andover is still dug up as crews work to restore gas service to homes. But that's not stopping the sixth annual Scarecrow Festival, for a great cause. Doherty Middle School’s WEB (Where Everybody Belongs) team recently hosted a WEB Olympic Trivia Lunch. The lunch was created and organized by 8th graders Maya Sharar and Ellie Grecco. The team met with WEB advisors Kevin Mann and Chris Krueger to create and plan the successful event. 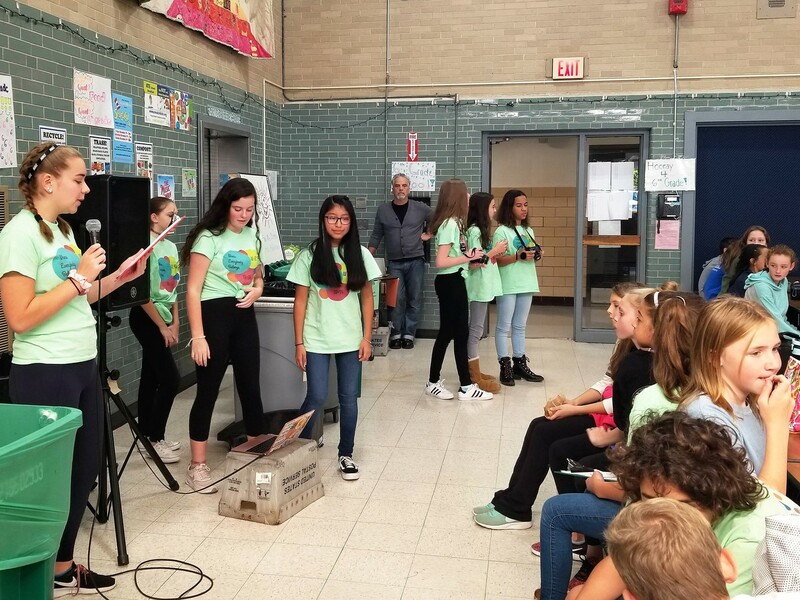 The WEB program is a middle school orientation and transition program that welcomes 6th graders and makes them feel supported by 8th grade WEB leaders throughout the first year in a new school. The program provides mentorship for the 6th graders while simultaneously providing leadership opportunities for 8th graders. 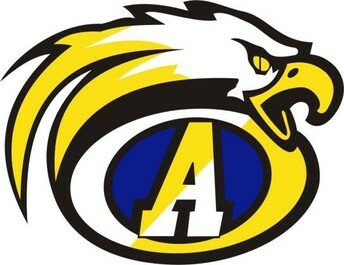 The WEB program is available at Doherty, West and Wood Hill middle schools. Susan Choquette began teaching at Andover in 1996 as an elementary music specialist at South, West and Bancroft elementary schools. In 2000, Susan moved to Andover High School, where she teaches theater arts courses, including Foundations of Theatre, Theatre for Young Audiences, Technical Theatre, Improvisation and Advanced Acting, Film and 20th Century American Culture. She also directs at least three student theater performances each year. Inspiration for Susan’s acting career came from her parents and teachers. She caught the theater bug early in childhood, and she loved being on stage and acting. In third grade, she was cast as the witch in Hansel and Gretel because she could scream loudly. The witch gets thrown into the oven and had to be able to scream, and Susan says she was a natural! 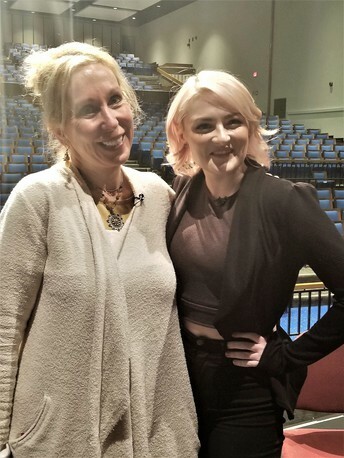 Susan has taught and mentored many AHS students, who have gone on to pursue theater careers. Some students are now educators themselves, directing and teaching acting. She has had the privilege of seeing several of her former students, like AHS alumna Katie LaMark (’08), perform on stage in NYC and in films and television. Susan holds a Master’s degree in Theater Education, and undergraduate degrees in music education and theater. She hopes that whatever her students do after they leave AHS, they take theater with them into their careers. She believes that theater skills are invaluable in almost every profession; which is especially true as we communicate more through digital media. Theater helps foster the art of face-to-face communication so valuable in one’s career and personal life. As the 6th annual Scarecrow Festival draws to a close, I want to express my gratitude to the Andover Coalition for Education (ACE) and all its dedicated volunteers who make this event such a success. Thanks to ACE and its sponsors, this year’s festival has raised $13,000 for our schools and they anticipate that number to increase with the auction. ACE works collaboratively with APS administration, and I am appreciative of their hard work and devotion to our teachers and students. ACE’s contributions to our teachers and our programs help provide opportunities that would not exist if it weren’t for their generosity. Thank you for all you do! The Massachusetts Department of Elementary and Secondary Education (DESE) recognizes the first annual Massachusetts STEM week from October 22-26, 2018. As part of our STEM team at APS, the Office of Digital Learning comprises the school library media teachers, Digital Learning Coaches and the AHS Digital Learning Department. Led by Director Joanne Najarian, the team supports teaching and learning throughout APS. The focus of The Office of Digital Learning also supports literacy, research, technology use, and digital resource adoption. The Office of Digital Learning recently presented at Massachusetts Computer Using Educators (MassCUE) at Gillette Stadium. MassCUE is the state’s leading organization for educators with a passion for technology in education. These conferences focus on the collective interests of our school districts with ways to enhance teaching and learning with technology and offer opportunities for professional networking and collaboration. 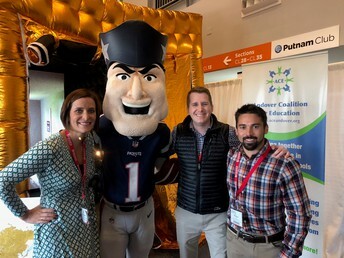 APS Digital Learning Coaches Shelagh St. Laurent, Chris Gosseling and Matt Hall showed Pat the Patriot around the Andover_Portal while at Gillette. 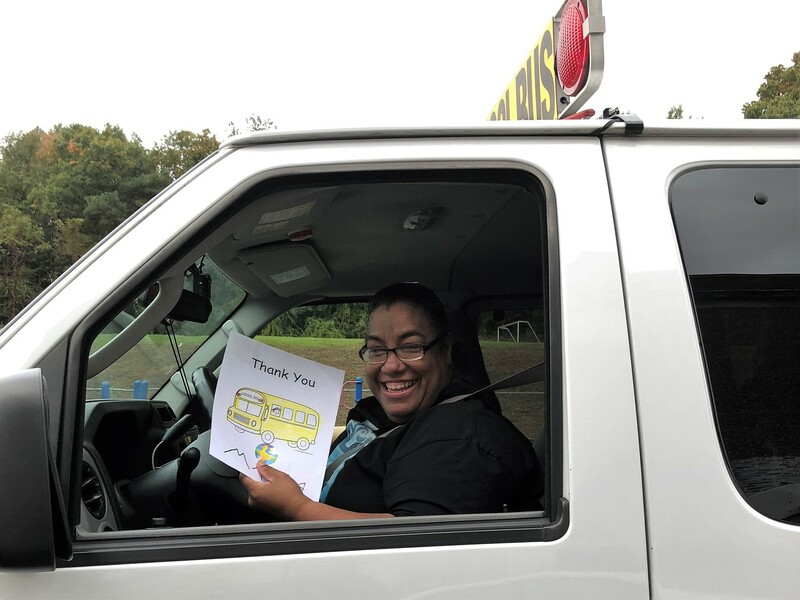 Our bus drivers work tirelessly to ensure our students get to school safely each morning, and we know that since the gas line disruptions in September, their routes have become a bit more difficult to navigate. Shawsheen preschool drivers were treated to signs and certificates of gratitude Wednesday morning. Sanborn Elementary celebrated its annual Spooky Fun Fair on Saturday, October 20th. 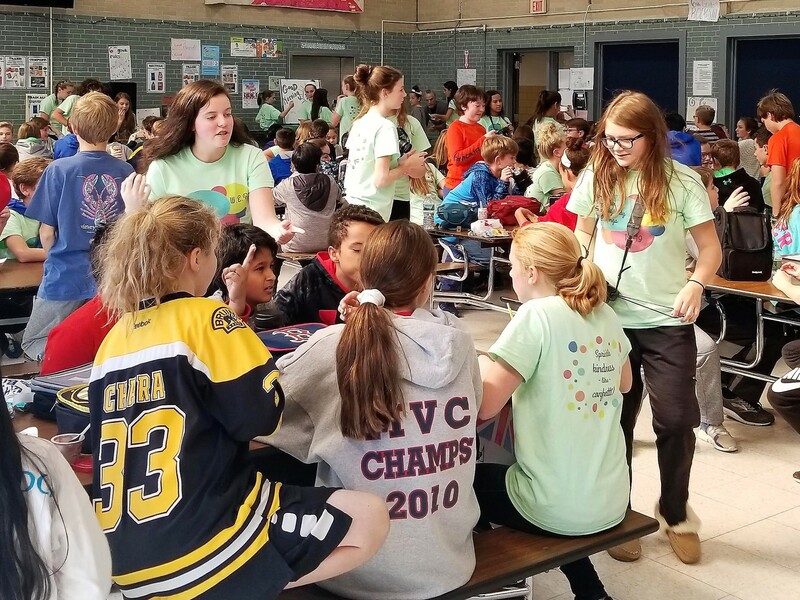 The celebration and fundraiser is more than 34 years old and is hosted by the Sanborn Elementary PTO to raise funds for student enrichment programs. A new fundraiser debuted this year called "The Principal’s Web." 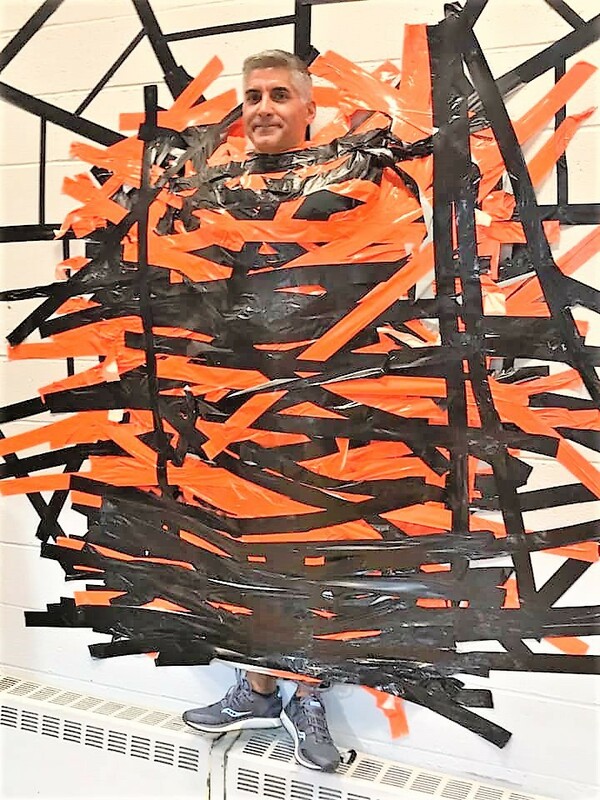 Families purchased pieces of duct tape and kids taped Principal Jason DiCarlo to the “web” as he stood on a platform. At the end, students pulled the platform out from under him and he stuck! This was a HUGE hit with both parents and kids. This year’s Spooky Fun Fair raised more than $11K. Each year, the Massachusetts Foreign Language Association (MaFLA) offers an opportunity for all students to participate in a video contest. The 2018 theme celebrated Expand Your Mind, Expand Your Heart, Expand Your World. Last spring, Wood Hill Middle School submitted a video created by eighth grade students Simran Bajaj and Isabel Tu to represent Andover in the middle school category. 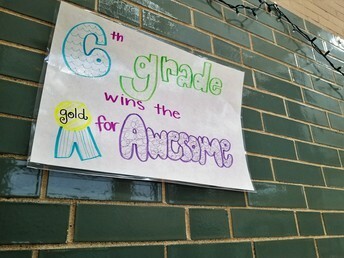 Simran and Isabel won first place in the middle school winners category. 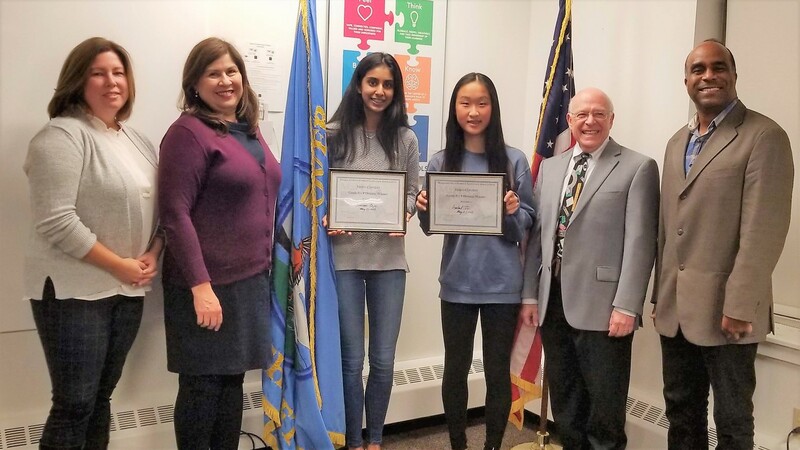 What makes their selection even more remarkable is that Isabel and Simran represented Wood Hill last year and were also chosen as the state-wide winners in the middle school category. So yes, two years in a row! Isabel and Simran, who are now 9th graders, were outstanding Spanish students while at Wood Hill Middle School, according to their teacher, Norma Villarreal. 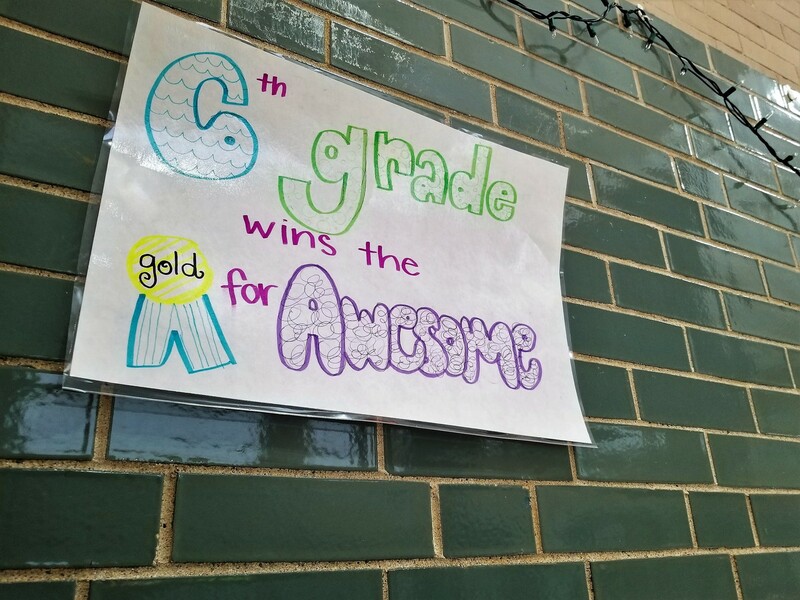 They consistently developed proficiency in the language and demonstrated collaboration, creativity, and reflection skills in all classroom work. The Fall Preview Concert will be on November 29, and will involve all vocal music students from grades 6-12. 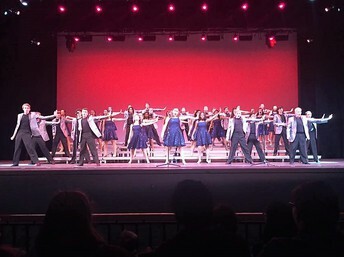 Participants will include the middle school choruses, AHS Concert Choir, AHS Chamber Choir and all 3 show choirs. 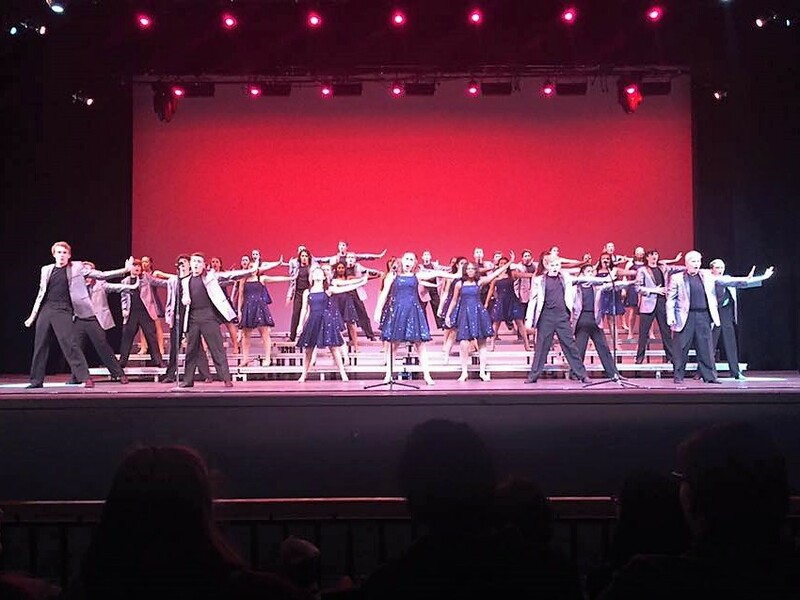 Each group performs one or two pieces and the evening will close with a combined pieces featuring all middle and high school choral groups on the stage at one time! Admission to the Fall Preview Concert is FREE. AVM invites you to join the fun on November 29th at 7 p.m. at the Collins Center. Join us for a community presentation on the effects of sleep on adolescents Tuesday, November 13, 2018 at 7 PM at the Veterans Memorial Auditorium, adjacent to the Doherty Middle School. 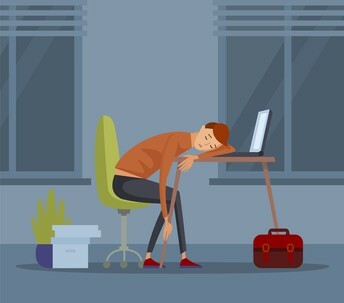 Dr. Judith Owens, Director of Sleep Medicine at Boston Children’s Hospital and Professor of Neurology at Harvard Medical School, will discuss the rationale for later school start times for middle and high school students. She will outline the basics of sleep and circadian biology in adolescence, the consequences of insufficient sleep, and the evidence supporting school start time change as a means of optimizing the health of students. The School Committee is currently considering the implications of the Andover schools schedule on adolescents’ mental health and well-being, and potential impacts of changing start times within the district. We invite you to participate in this very important presentation.